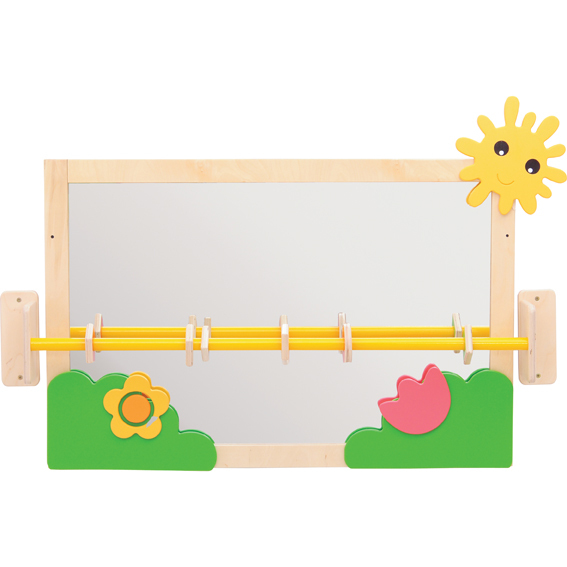 Mirrors and reflections play an important role in the development of self awareness. in young children. 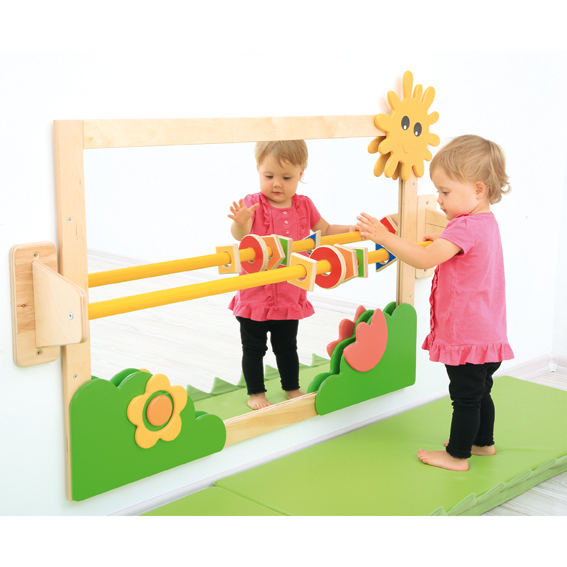 Our toddlers mirror has the added feature of a metal sensory bar (fixed to wall) which has colourful wood manipulatives, so children can pull themselves up. 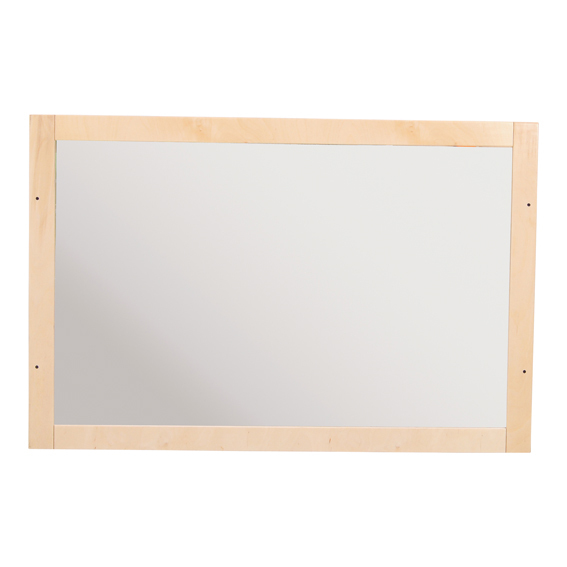 Mirror is safety glass, plywood frame.